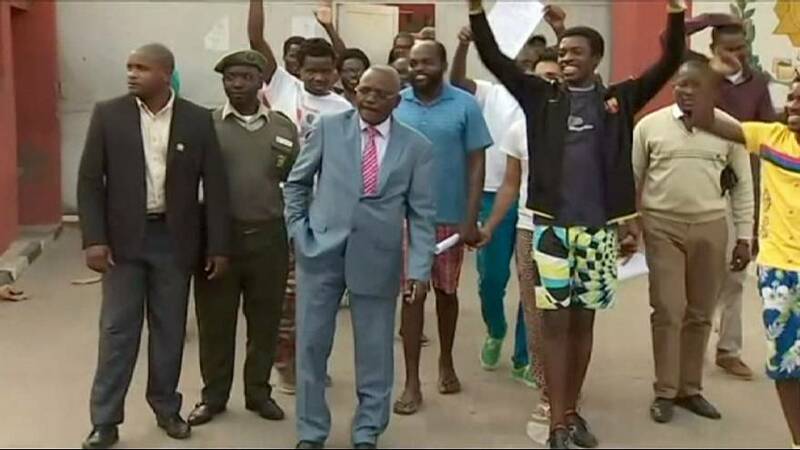 A court in Angola has released 16 activists, including the well known rapper Luaty Beirão, after they were imprisoned for rebellion against long serving President Jose Eduardo dos Santos. Rapper Luaty Beirão went on hunger strike over his detention. Most of the group were arrested during a book club meeting where one of the publications under discussion was on the subject of non-violent resistance to repressive regimes. The ruling overturns sentences raging from two to eight years in prison. José Eduardo dos Santos has been president since 1979. A 17th activist was also freed, but remains in jail on contempt of court charges.